As soon as you walk through the front doors of District, you immediately know you’re in for a treat. The first thing you will notice is the artsy decor and massive columns that hold up the balcony VIP viewing area. 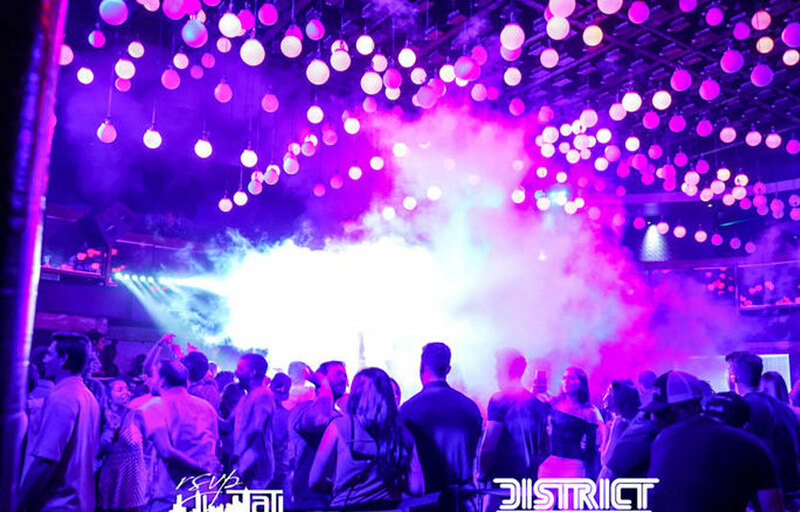 District features three fully stocked bars, VIP booths along the dance floor and balcony, and a phenomenal light show production with multicolored balloon-looking lights falling down from the ceiling. The DJs put on quite a show – some of the talent District has signed for the 2018-2019 season include Dillon Francis, Will Clarke, and RL Grime with many more DJ’s to come. We can often get you some pretty good deals at District on non-holiday weekends. The Bathrooms are located downstairs. There is a smoking area outside the venue. There is a coat check inside the venue for a small fee. District is located at 269 Armour Drive, Atlanta, GA 30324 – right across the street from a “Philips”. How much is cover charge at District? General admission at the door starts at $15 for ladies and $30 for gentlemen on regular nights – expect more on holidays and special events / top tier DJs. How long will I have to wait at District? Average wait times are around 10 min – 30min. On nights with top tier talents expect the wait to be longer. District is open from 10 PM – 3 AM on Fridays and Saturdays contingent on whether there is an event or not. What are the best nights to go to District? 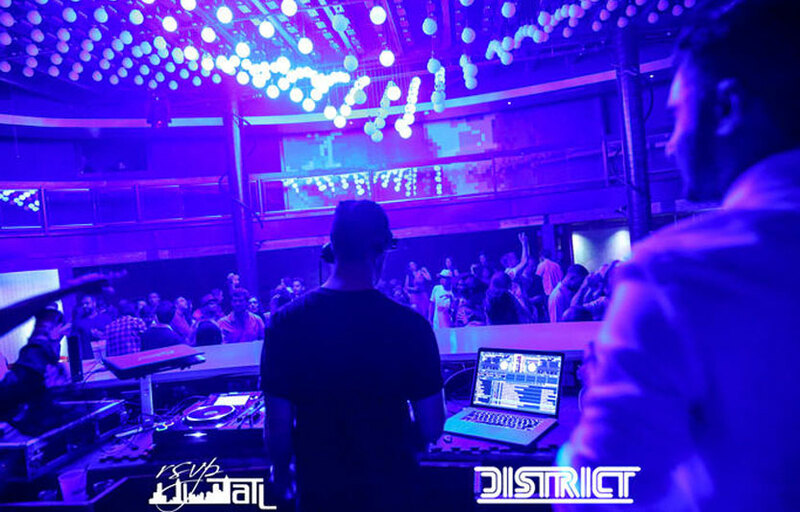 You can’t go wrong with any Friday or Saturday night at District. The best nights are typically when there is a big name DJ booked. What is the dress code at District? Collared shirt / jeans / dress shoes for guys. Avoid anything that can be considered sportswear (track jackets, jerseys, sneakers, hats, etc). If you are getting bottle service you will have more leeway. Better be safe than sorry – nothing kills a buzz faster than getting turned down at the door! How much do drinks cost at District? Mixed drinks / cocktails Start at $15, Beers $8, Shots $10, and Bottles start at $275..
What kind of music do they play at District? Depends on the talent. Typically District DJ’s play deep house, however, every once in a while they will book a main room EDM DJ. Where can I find a list of upcoming events / DJs at District? You can download the Discotech app to see upcoming events, get on guestlists, book tables, and buy tickets for District. You can also visit District’s website for a current list of events.